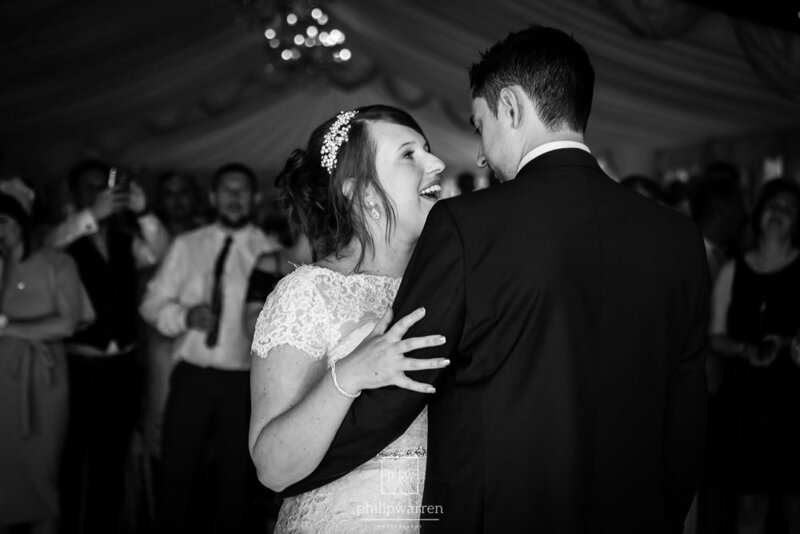 Gemma and Aaron got married at the spectacular New House Country Hotel, Cardiff, last weekend. New House Country Hotel is an old country house with a grand feel to it. Especially the main building where the reception and restaurant are. Gemma got ready in one of the many grand rooms at New House Hotel with her bridesmaids and flower girls. Even if the room was a little cramped with all the people there getting ready! She wore a gorgeous dress from Laura May bridal, and looked so beautiful. She then walked the short distance to get to the ceremony. Aaron got ready at his house with his groomsmen like many other weddings. He wore suits by Slater Menswear,and looked really trendy. The ceremony took place in the Wyndham which is a new section to the older part of the hotel. The ceremony area was a modern light and airy room, with a large flower arch at the end. The ceremony began with the flower girls and bridesmaids walking down the aisle followed by Gemma and her Dad. It was a romantic ceremony, full of love and smiles. After all the legal papers signed they walked back down the aisle with massive smiles on their faces. After the ceremony we moved outside to shower the happy couple with confetti, which was so much fun. Then completed some family photos, which took place back in the Wyndham Suite due to the weather. I got some lovely couples photos despite the weather. We found some wooded areas behind the marque. which stopped the rain a little. Such a same about the weather as the view from the New House Country Hotel across Cardiff is incredible. Everyone got called through to the marquee for the wedding breakfast. They had speeches before the meal, which was possibly due to the nerves at giving speeches! For the evening reception, the couple had an ice cream cart and and a BBQ for their guests. Everyone enjoyed it – especially the awesome BBQ food. After the cake cutting, they had their first dance, and the party was a very popular place to be. The DJ took requests all night long which made for a very eclectic mix of songs! I loved this New House Country Hotel wedding so much. If you’re getting married and looking for a New House Hotel wedding photographer, get in touch. Here are the photos! To view more of my latest weddings, please hit the button below. If you are getting married and like my photography from New House Hotel, please get in touch to discuss your bespoke wedding package.